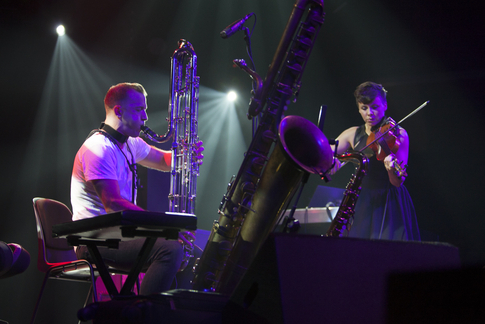 Moers regular Colin Stetson returns this year with his most thorough exploration so far, as an Artist-in-residence for the duration of the festival. 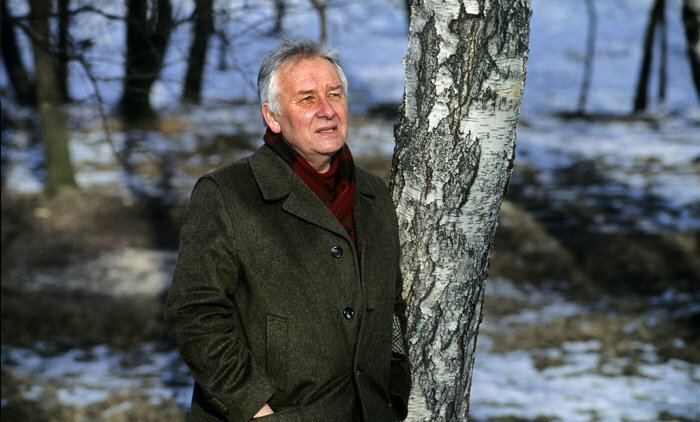 The master reedsman will be performing each day, with different settings that range from his customary solo state, right up to a twelve-piece ensemble reading of Polish composer Henryk Górecki’s Symphony No. 3. 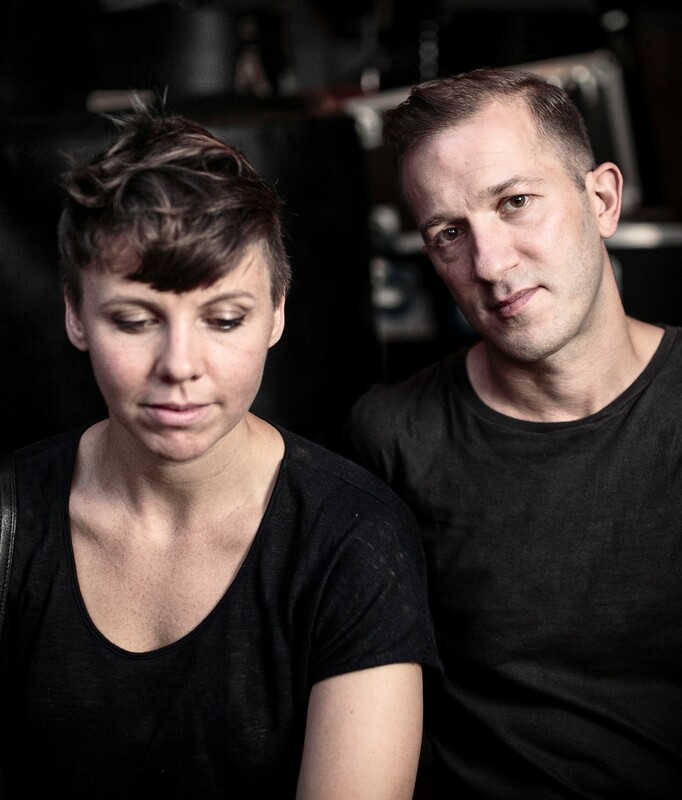 In-between, there’s Stetson’s duo partnership with fellow Arcade Fire player Sarah Neufeld and an improvising trio with John Zorn regular Trevor Dunn and Liturgy linchpin Greg Fox. Last year, Stetson wasn’t able to tour with Arcade Fire due to an extensive solo date sheet, in the wake of To See More Light, Volume 3 of his New History Warfare solo series on Constellation Records. He usually has to work at least a year in advance, assembling an itinerary, although he’s able to slip in a few rogue gigs closer to the time, when invited at shorter notice. „I always end up being busier than I thought I was going to be,“ says Stetson, not really complaining. „Most of the time, when I get back, it’s time to get out of performance mode, just practice, and write new music.“ In recent months he’s been working on several film soundtrack projects. The 1987 Low Life collaboration between Bill Laswell and Peter Brötzmann made a deep Impression. Stetson started on alto at the age of ten, then expanded into the full family of tenor, baritone and soprano at high school. He flirted with the bass horn briefly at college, but didn’t have chance to fully get to grips until he bought one in 2005. „The lower end has always been something that I’ve had an affinity for, something that I’ve gravitated towards. As long as I can remember, I’ve looked at pictures of them [bass saxophones], and listened to recordings.“ The 1987 Low Life collaboration between Bill Laswell and Peter Brötzmann made a deep impression, with the latter concentrating exclusively on his bass saxophone. As an example, Stetson recalls how, originally, the five minutes of his „Judges“ piece was quite a trial to play, but a few years down the line, and it can now last for up to twenty minutes, live onstage, if so desired. 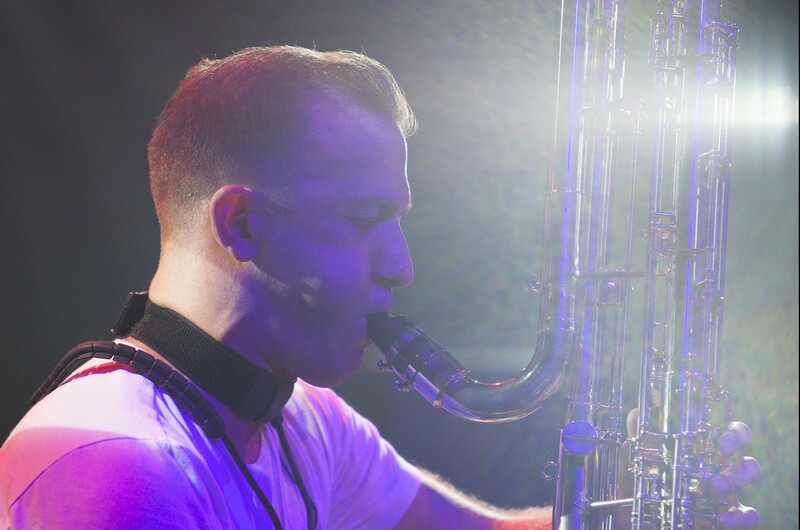 Despite what the listener might imagine, Stetson doesn’t use any effects pedals, but he does point, or attach, microphones on different parts of his horn, and has contact microphones stuck to his neck. „The microphones, live, come as a reaction to that hierarchy of sound. As soon as you start pointing the spotlight on one part of the instrument, you really have to do the same for a few other parts, if you want to get an even distribution of all the sounds that I’m using to make the piece happen. That’s absolutely affected my approach.“ This whole area became much more of an issue when Stetson graduated to playing larger rock-style venues. For his solo Moers set, Stetson is aiming to play a collection of all-new pieces. ← Willkommen im Blog des moers festival 2015!